Job opportunities are always going to be present all year round. Which is why there is a never-ending number of job applicants, both freshers and professionals alike, who are looking for advice on how to write a job application letter. Since you did land on our website, we want to give you tips to writing a job-winning cover letter, as well as sample letters that you can use as a reference once you start writing your very own cover letters. Writing cover letters may seem easy but they actually take a lot of time and effort. In any case you might be needing help with writing a cover letter, then you should definitely keep on reading. Your cover letter should detail the specific qualifications you have that is relevant and is useful for the job vacancy. It is the opportunity you have in order to highlight your skills, cover items that are not reflected in your resume, and increase the chances of getting a callback. To present all of the facts you want to tell the employer, you have to follow the appropriate format. 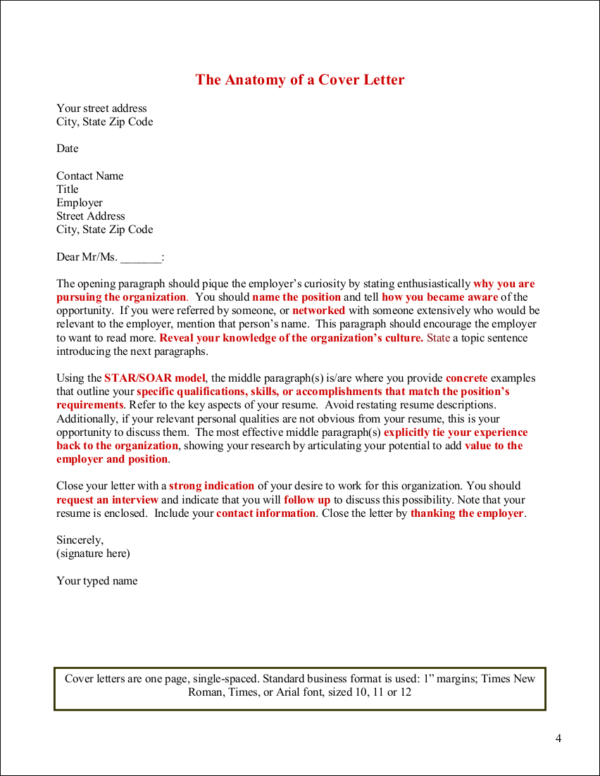 So how should you format your cover letter? 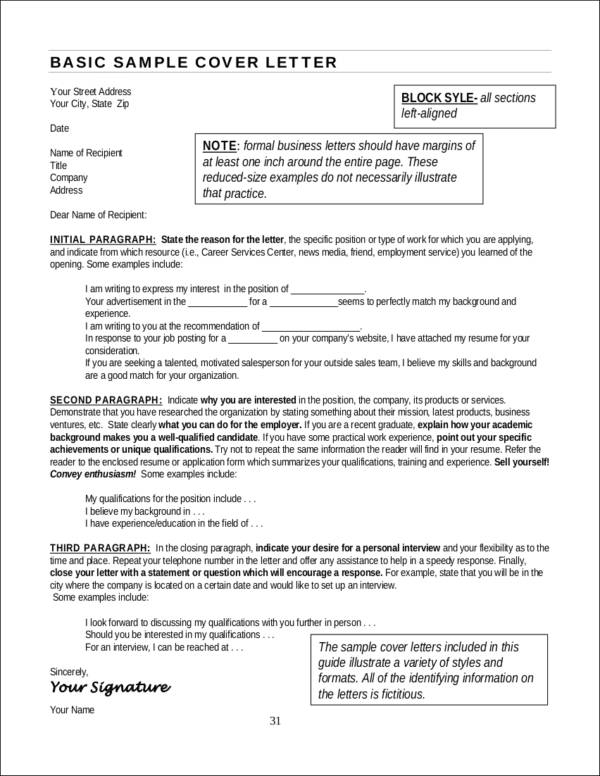 A cover letter will typically follow a proper business letter format. Your cover letter will start with your information: your name, address, phone number, and email address. This is usually found on the left side of your letter. If you have a personal letterhead, you may also make use of this. Write down the date when you wrote the cover letter. 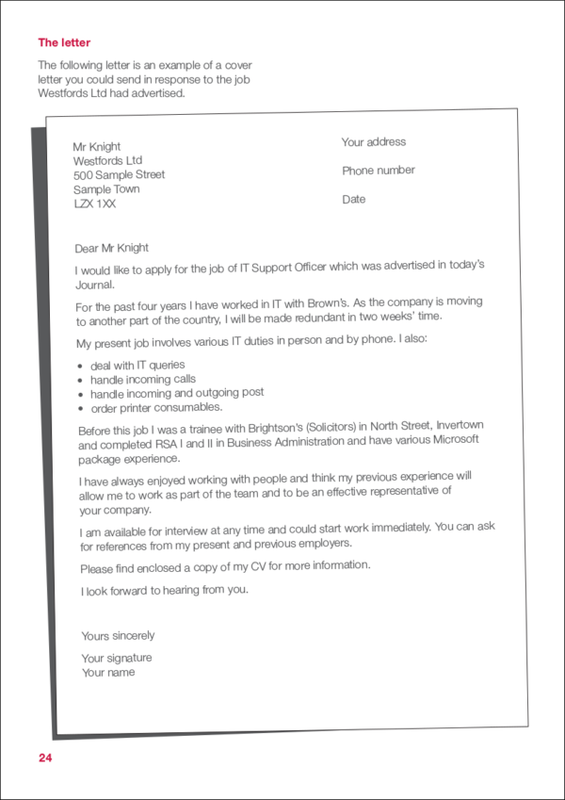 This is placed two spaces after your contact information or letterhead. Two spaces after the date, you can write down the contact details of the person you are addressing the letter to. If you do not know who you are addressing the letter to, you can skip directly to the subject line. Next would be the body of the letter. Let us divide this into three parts. The introduction lets the recipient know why the letter is being written. 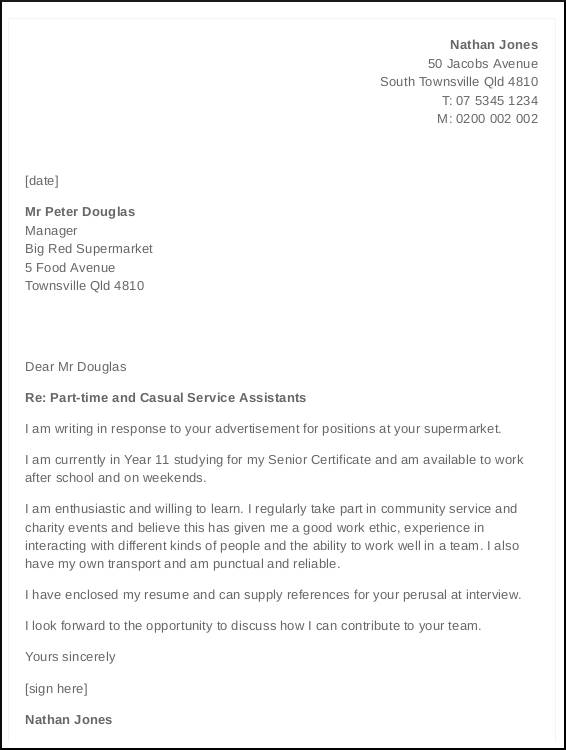 The main body of the letter will let the reader know what makes you a qualified candidate for the job. The closing paragraph will let the reader know that you are thankful for the opportunity and this is also where you will let the reader know about the most convenient time you can be contacted and what your preferred mode of communication is. The closing greeting will follow your last statement. This is also followed by your typed name with two spaces in between. You will also be affixing your signature above your typed name. 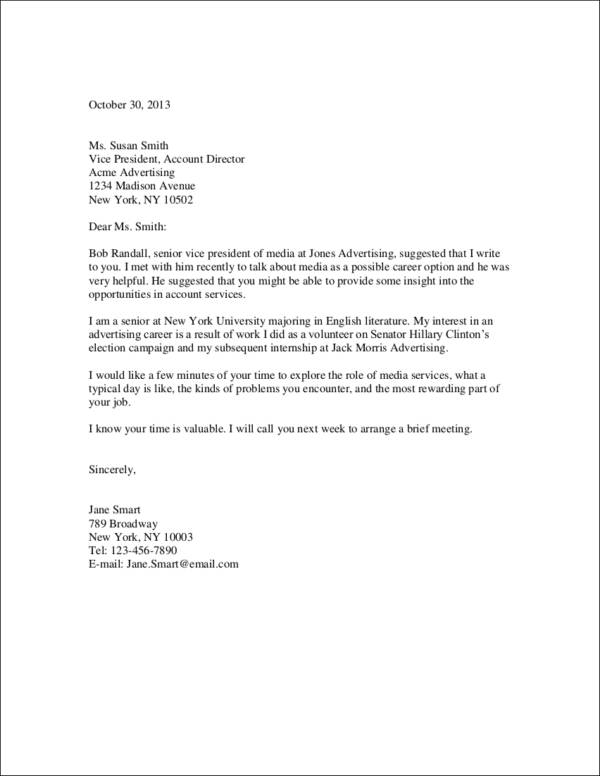 If you are going to email your cover letter, follow an email cover letter format. Your typed name will be enough as the signature or you may also make use of an e-signature. Aside from the content of your cover letter, you should also pay attention to how you style your cover letter—margins, alignment, font style, and size. 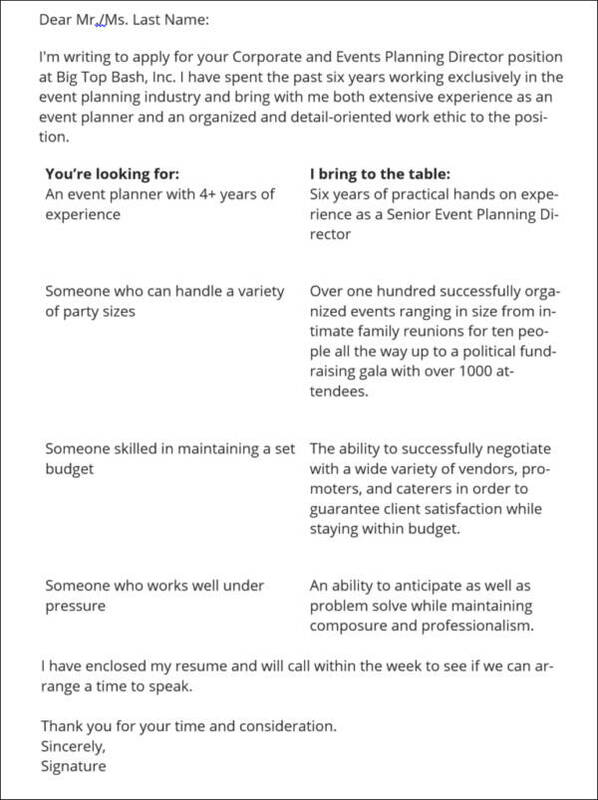 Here are a few quick tips for cover letter styling. Margins. A safe bet for the cover letter’s margins is between 1″–1.5″. Make sure that the white space has been utilized properly. Font size. The font size of your cover letter should be between 10pt–12pt. You can mix up the sizes such as making use of a bigger size for headers and a smaller one for the main texts. Font style. Choose one that looks professional. You may even opt to use one that the company’s website uses. Alignment. All texts for your cover letter must be aligned to the left side. You can also use these styling tips for your job application resumes. 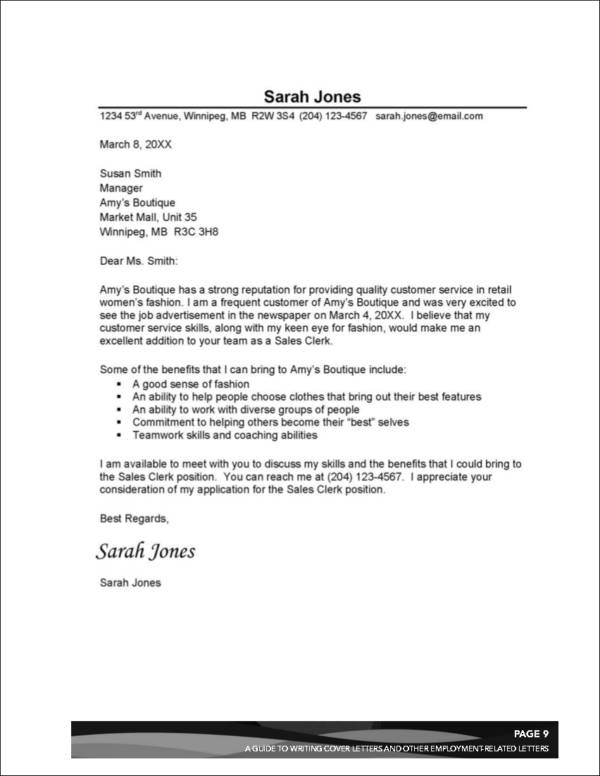 It will look professional if the layout of your cover letter and resumes match well. Tip #1: Make your email cover letters short. When it comes to email cover letters, you have to make sure that it is brief. It should be straight to the point and should not be attached as a document. A lot of job applicants make the mistake of attaching a cover letter to their email job application instead of just directly writing it on the email itself. 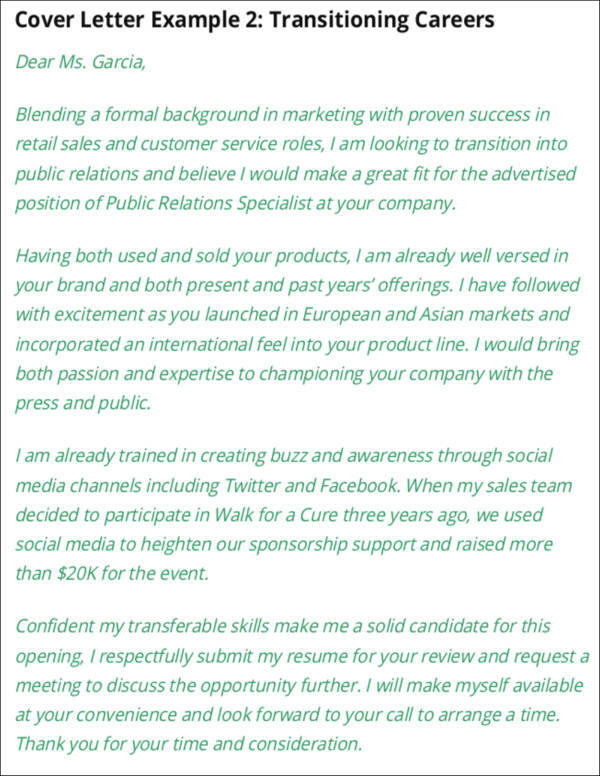 One more thing about cover letters sent through email is the fact that they should be mobile friendly. You should keep in mind that a lot of recruiters or employers are on-the-go type of people. Business transactions are done through mobile nowadays. You have to ensure that your cover letter is short enough to not make them scroll through their phone. What you want to say should directly be on the screen at one glance. You can test this out by sending a test email to your email address and opening it through your mobile phone. Tip #2: Tell them what they want. Recruiters assess an applicant if they are going to be a good fit for the company’s culture. You want to make sure that you let them see that you are a good fit for the company by doing your research. More or less, the company you are applying for will have an online profile. You can go through this. If you know someone who is currently working or has worked with the company, you may also ask them. Connect with the company’s employees through their professional profiles and check out some of the updates they may be posting. Through your research, you will be able to connect which ones of your experiences and personality are a good match with that of the company. Tip #3: Start your cover letter strong. 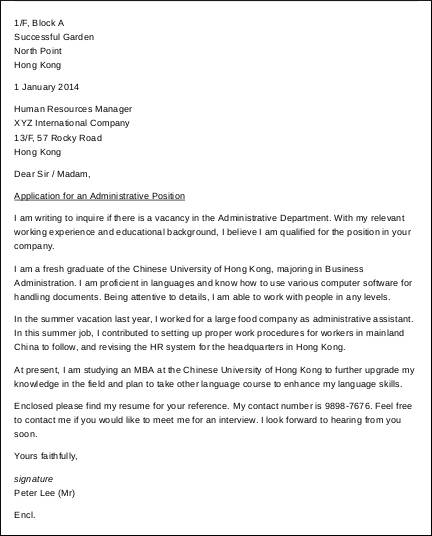 How to start your cover letter? You may think that a good start would be to simply introduce yourself. If you have started typing “My name is Jodie Foster. I am applying for the Digital Marketing Position…,” then I guess you better stop and start pressing backspace. So what is the best way to start your cover letter? You can start with a question. Ask them about the position and present yourself as the solution. Tip #4: Let them know that you are the one they need. With that follow-up, don’t you think they would not be intrigued by your capabilities? They would definitely be scattering to invite you for an interview in order to find out more about you. Tip #5: Limit the number of bullets you will use. Three bullets are all you need. 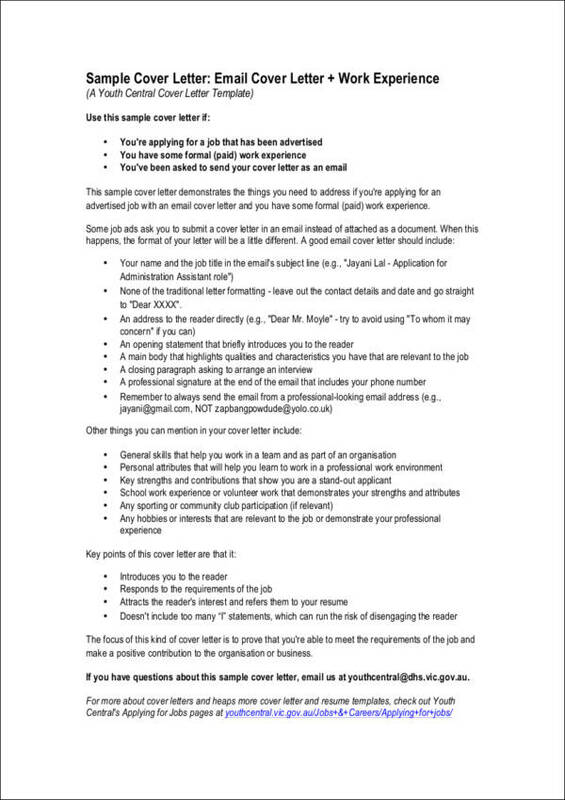 Remember, we are trying to keep your cover letter as short as possible just like the sample cover letters we have in this article. So you have to make sure that these three bullets are the ones that are most relevant to the job you are applying for. Tip #6: Follow up after you send that cover letter. You know one of the things job applicants fail to do after sending in their cover letters? Following up. A ton of times, your job application files are kept by the recruiters. If you fail to send in a follow-up letter, your application may not get forwarded to the hiring manager. You also have to take note that following up on your application will also let them know just how interested you are about the job vacancy. How to do a follow-up? About one week after, you can send a follow-up email asking about the status of your application. A few days to a week after your initial follow-up, you can call them up and see if you can schedule a chat. Continue contact with the employer in order to keep communication lines open. Give these cover letter examples and writing tips a shot and you will definitely end up with a cover letter that will give other job candidates a run for their money. Pair it with a great job resume and you will be on your way to a good career.